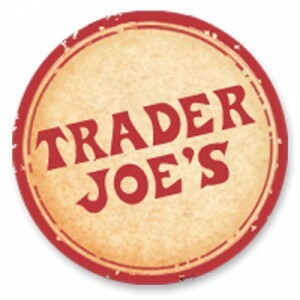 Trader Joe’s is a chain of grocery outlets in the US. To date, there are over 400 branches of the store all over the country, selling its own brand of organic food products and drinks. The grocery chain was founded by Joe Coulombe in 1958, in an attempt to rival 7-Eleven outlets. However, Coulombe thought that this competition might be risky. The restaurant is known for its Caribbean motif and its fresh food products. In February 2008, the company reached its highest sales, while in June 2009, it got the 2nd place in customer service. Employees get the following benefits from the company: health insurance benefits, vacation time, and fair remuneration. On top of that, Trader Joe’s assists its employees through personal, financial, and legal counseling. Employees also enjoy the 10% discount they get on top-quality products, plus the flexible scheduling and various tasks assigned to them. Indeed the company is one of the ideal workplaces to start with, especially for minors. To work at the company, you must be at least 16 years old. However, this is for entry level jobs. Managerial jobs are given to applicants who are at least 18 years and have passed certain certifications. The company offers the following jobs to aspiring applicants. Check out the Careers section of the company website for a more thorough description of the tasks and qualifications. As crew member, you will be assigned to various teams in order to accomplish a number of goals. This includes, but is not limited to, bagging grocery items, restocking shelves, handling cash transactions, and entertaining customers’ queries. You should also be able to provide a satisfactory shopping experience to customers. The Mate is simply an employee who wants to hone his leadership skills in the company and have fun while doing it. He has to study and learn the brand and how the company delivers its superb customer service. He should also be able to lead and motivate his team to do their best. Improving the quality of store life is his priority. The produce buyer is responsible for creating and managing purchase orders for the store. He buys produce every week and ensure that these items are delivered in a timely manner. He inspects the produce for their freshness and quality, and monitors item inventory. The store manager’s task is to supervise the day-to-day operations of the grocery. He works with Mates (crew leaders) and assigns tasks to them. He has the capability to coach the team and model proper behavior, emulating the values set by Trader Joe’s owners. He also assists in bagging groceries, manning the cash register, and restocking shelves. The grocery sales associate works as the company’s CSR. He deals with customers’ concerns and assists them especially when they are looking for products, or when they have complaints. The associate also sometimes helps the other crew members pack groceries and restock shelves. He also maintains the cleanliness of the store. The assistant manager reports directly to the store manager. He helps in the coaching of crew members, as well as in the assigning of tasks. Oftentimes he plays the role of the Mate, in the absence of crew team leaders. The quality control department’s task is to ensure that all items sold in the store are fresh or in good quality. They carefully check the manufacturing and expiration dates in each product and discard those that are not fit to be sold. The loss associate is part of the crew. He is in charge of checking and storing properties that were left by customers in the baggage area, and in the recording of theft cases. He keeps a neat log of these items and promptly informs customers of updates regarding the status of their belongings. The distributor is in charge of delivering food items from one branch to another. He must be physically fit because the job entails heavy lifting. He must be also willing to work different shifts and/or irregular hours especially when the items to be delivered are perishable goods. The district manager works closely with the store manager (captain) in supervising the grocery chains in an area. He ensures all stores are operating properly and are adhering to company policies and standards. He helps in recruiting and interviewing crew members. You may view available positions at the company website. There are filters that you can tick off or scroll down to help you find the position and location you need. You will be asked to complete the online application, in which you have to give information about yourself. While there are no downloadable and printable application forms, you may get copies from the head office. Upon submission of your personal information, you will be notified by the HR department for the interview schedule. Bring your resume and cover letter to the interview. The resume should highlight your skills and qualifications. Write a summary of your strengths. Be clear with your objectives for applying for the position. Keep your resume short and to the point. Expect to be asked about the company during the interview. Thus, you should do some research on the company’s background before your interview. Typical questions include why you want to work for the company, and what you can contribute to the grocery chain. The work culture in the grocery is tough at times, but enjoyable when you get the hang of it. Employees are expected to be productive and independent. It’s a good thing that the company also promotes work-life balance amidst the seemingly busy atmosphere in the grocery. As for anything new about the store, the grocery chains will be operating on special hours for Easter Sunday, April 1. On that day, the stores will be closed by 5 PM. Aside from its bustling work atmosphere, the company is creating a weekly buzz online with its Dig In blog, in which different products are given the limelight. They are featured in the blog posts, including a really artistic flat-lay photo, so that customers will be enticed to buy these items. The company also supports healthy eating with its vegan, kosher, and gluten free products. The company is also pro-customers because it tries to keep costs low. In effect, it does not charge much on items, thus helping customers pay less on groceries.